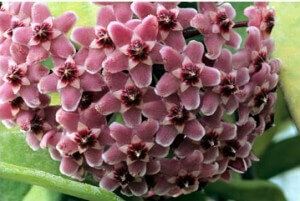 The slender vines of the Wax Plant are covered with speckled green leaves and can be trained around a trellis or shape. 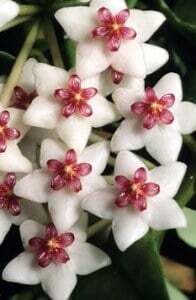 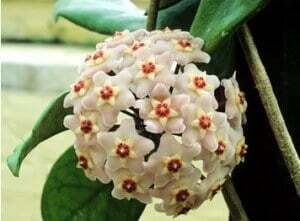 The Wax Plant produces beautiful shiny white flowers with a delicate scent. 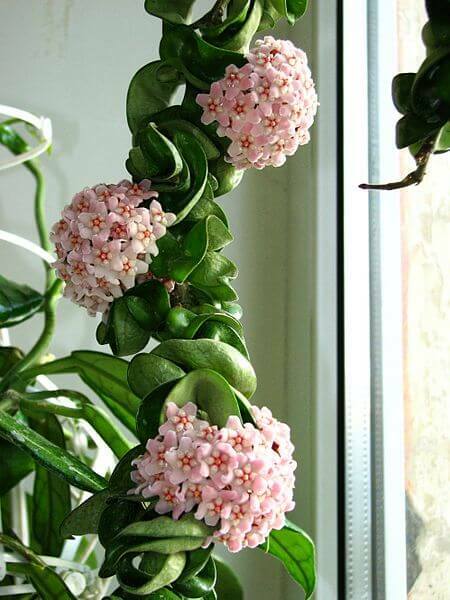 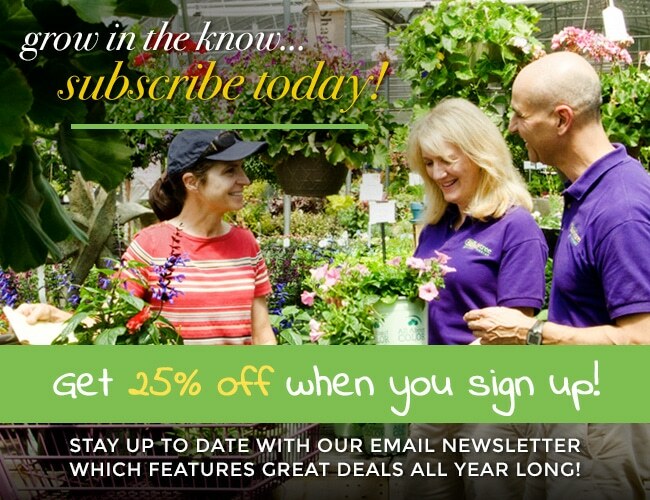 If you feel the need to prune your plant, make sure you don’t prune the stems that have produced flowers because the flowers come back to the same stem year after year.